A dual camera for selfies and a tri-camera setup on the back — this is the mobile photography hardware rumored to be used by Samsung for the upcoming Galaxy S10+ flagship. Currently codenamed "Beyond 2," this handset is expected to become — alongside the S10 — the first Samsung phone with a triple camera setup, as well as the first S series device with two front cameras. In a few years, we might consider phones with an entire camera matrix on their back to be the norm. As ridiculous as it might seem in this moment, phones with five cameras also looked like an over-the-top concept a decade ago. According to the latest rumors, the Samsung Galaxy S10+ will come with no less than five cameras. Thankfully, they are not supposed to be placed on the back, so we are talking about a Huawei P20 Pro-like main triple camera setup and a dual selfie shooter that even some mid-rangers have been offering lately. According to industry sources quoted by The Bell, the Galaxy S10+ is codenamed "Beyond 2" and will use the dual camera setup currently available on the Galaxy S9+, but combined with a 16 MP ultra-wide sensor. In the end, the triple camera setup of the Galaxy S10+ is expected to feature the 16 MP ultra-wide camera mentioned above, next to 12 MP sensors - a wide-angle one with a 77-degree field of view and a telephoto sensor. The ultra-wide sensor provides a generous 120-degree field of view. The dual camera setup for selfies will be similar to that used by the Samsung Galaxy A8. The main advantage of such a setup is that selfie shots with bokeh effect come directly from the cameras, without the need for any post-processing by the user. In addition to the Galaxy S10+, Samsung is also working on the Galaxy S10 and Galaxy S10 Lite. 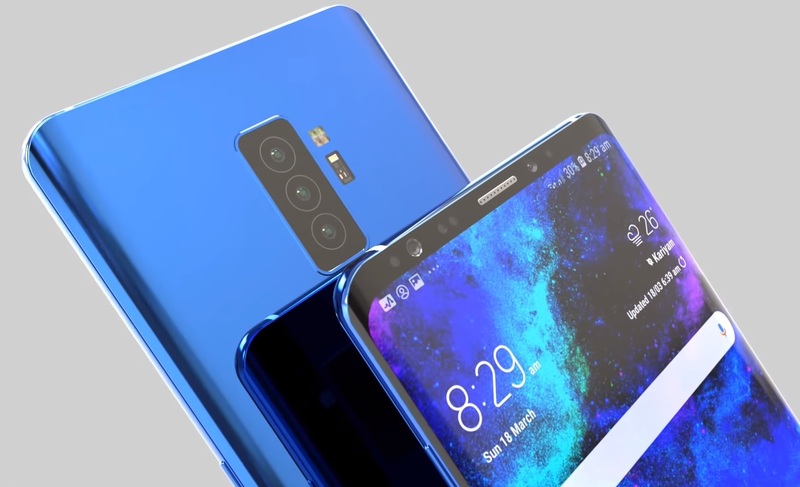 Codenamed "Beyond 1" and "Beyond 0," these two handsets will feature fewer cameras than the Galaxy S10+: a single selfie shooter and triple rear setup for the S10, and a lone front camera and a dual setup on the back for the S10 Lite. Let us know what you think about the upcoming Galaxy S10 series in the comments. Will Samsung be able to face the Chinese assault?